Mori& I run into these fishes last week @ San Clemente island. The guns works great! thankshe size are: 36, 32, 25, 23, 20, 17, 15. 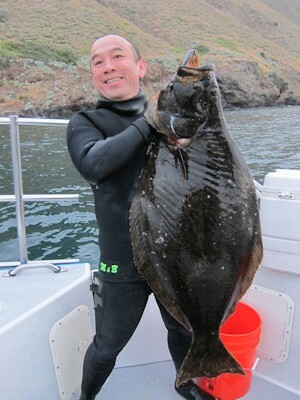 We never see one smaller than 15 lbs that day.I will take you diving when you visit here anytime.